What are notes and where can they be entered? There are a few areas where notes can be entered. 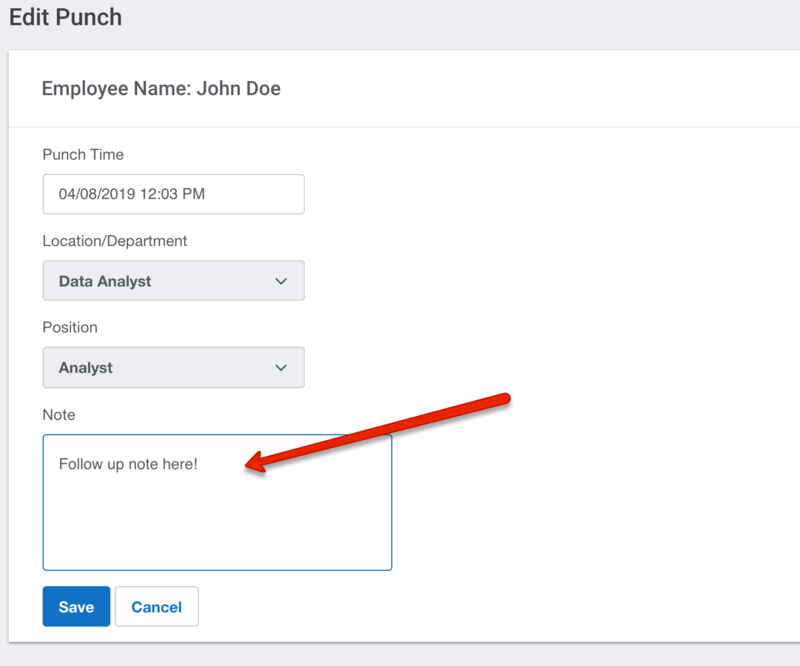 Our note feature allows your employees to enter a note whenever they punch in or out. These notes can be viewed on the employees time card as well as on some of our reports. When an employee goes to punch in there will be a notes box available. There is no character limit, so they can add as long of a note as needed. After the employee punches in, they will then be able to view the notes they've added on their dashboard as well as if they visit their time card. 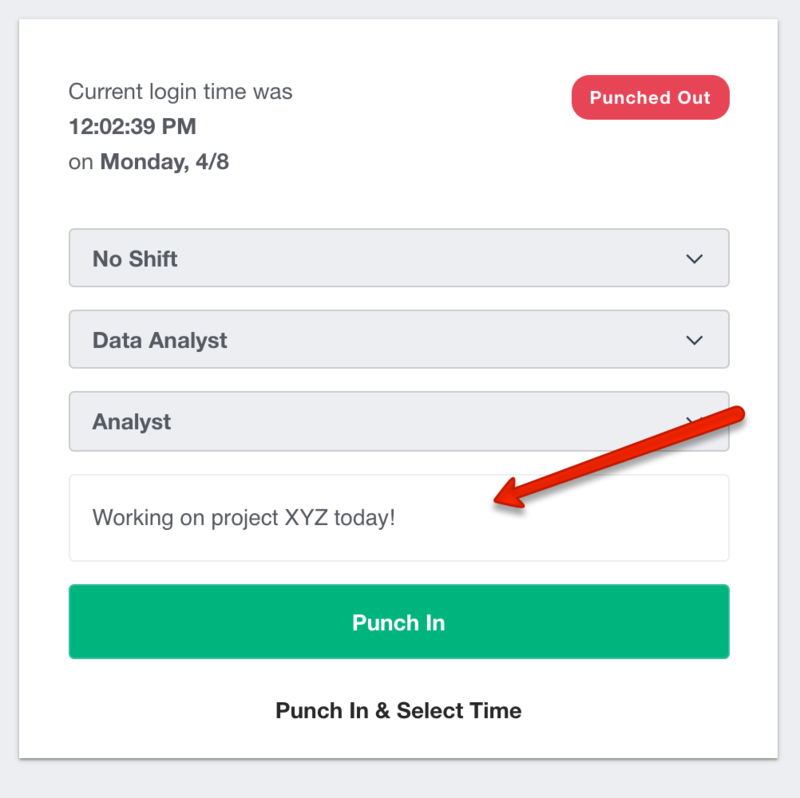 If an employee has edit permissions, they can add additional notes by selecting "Edit" next to their punch. An Administrator or Manager can also add additional notes also by selecting "Edit" next to the punch.